Please choose the options for each eye separately from the drop down list below and choose ‘Add to Cart’. Choose 3 boxes for best price. For different quantities per eye please add to cart separately. If this is your first time ordering and you are currently not an Eyesite patient, you will need to supply us with a copy of your up to date Contact Lens Prescription when we process your order. This can be emailed to us at webshop@eyesite.co.uk. 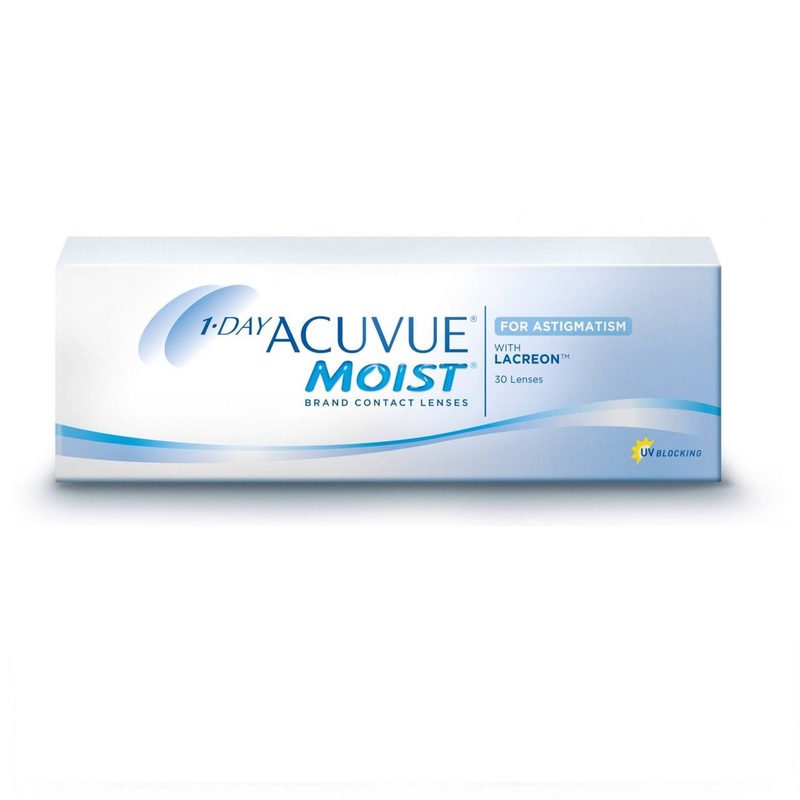 Acuvue Moist For Astigmatism Contact lenses are perfectly suited for patients wishing to enjoy maximum comfort from their lenses. Ideal for users who have a demanding lifestyle. 3. They provide superb value for money. * Estimated delivery 5-7 working days.